No, forget it, it isn’t blossom after all. They’re snowy crystals growing on the trees; they’ve been accumulating all week, it’s from all the fog. It won’t be spring for at least another month, but at least the fog is clearing. We’ve been living in the clouds for a week, and I’ve been reading a biography of Le Corbusier. He grew up in the Swiss watchmaking town of La Chaux-de-Fonds, in a valley in the Jura mountains. He was obsessed with sunlight – not a bad quality for an architect – and that’s perhaps because for half the year La Chaux-de-Fonds gets an average of three hours of sunshine a month day (scroll down in here if you don’t believe me). During the summer, the figure soars to five or six hours of sun per month day. So he had every reason to worry about sunshine, poor old Corb; he loathed La Chaux-de-Fonds and fled Switzerland at his earliest opportunity. 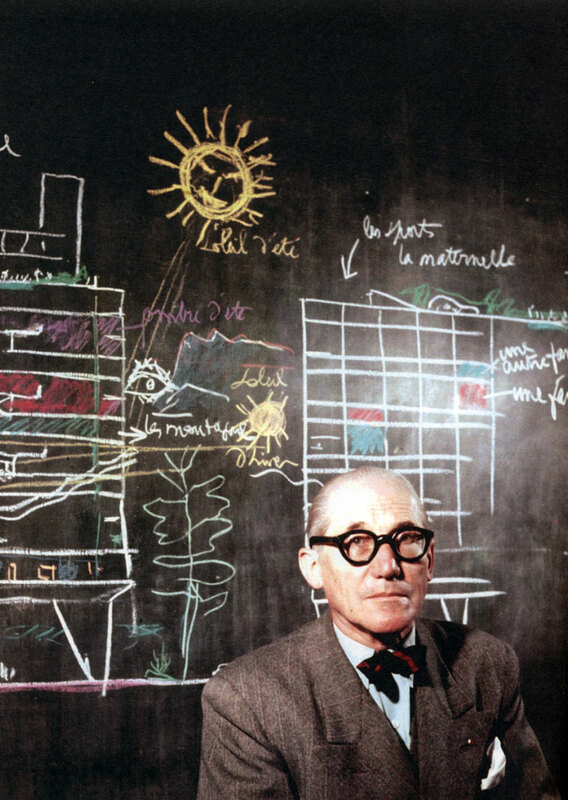 He reinvented himself: he changed his name to Le Corbusier from Charles-Édouard Jeanneret, and spent the rest of his life designing in warm places like Rio, Marseilles and Algiers, and building Chandigarh, in the Punjab. By that time, 1950-ish, he’d learnt that the sun is not always our friend. But in March, in Norway, I tend to think it is. Tomorrow, Part II: Adolf Loos & Josephine Baker. 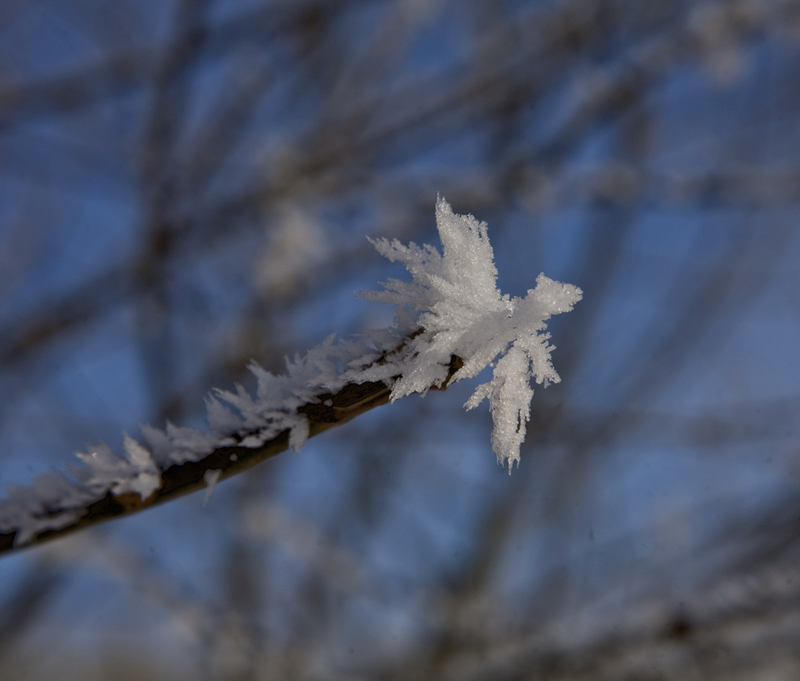 Your snowy crystal blossoms: ¡divinos! It’s been springlike here in East Angular for the last few days. Our hazel has had catkins for weeks. The snowdrops, aconites and crocuses are nearly over; the early daffs have opened. Many of the trees are greening – the willows particularly. Forsythia’s been in blossom for a while – some of the cherries are lovely, though whether it’s a last blossoming of winter cherries or a burst of blossom on the earliest spring cherries I don’t know. Flowering currants are. We had the first of our new chives on our potato salad a fortnight ago. We lunched outdoors yesterday, basking in the sun outside a local farm shop. Yeah well, East Anglia, that’s practically sub-tropical these days. You’ve probably got palm trees and cactuses like they have on the Metropolitan line stations in London. Up here in Norway we have proper old-fashioned seasons, no daffs before June. When’s harvest festival, the first Sunday before Easter? You have a very funny blog. Which biography? I’ve been waiting for Birksted’s to come out in paperback (or a hurt copy to show up in the MIT Press book store or their dock sale). No, this one is Le Corbusier A Life, by Nicholas Fox Weber (Knopf 2008). Gillian Darley wrote about it in the LRB; it’s a review that’s worth reading. The book itself has a so-called deckled edge that in this case that means the pages are untrimmed on the side opposite the binding. I hate it (the edge), I find it very irritating. The photographs are low quality, just printed on the same paper as the text; but there are lots and many of them I hadn’t seen before. There are drawings he made of his parents and his wife too that I hadn’t seen. I find the writing too opinionated and speculative for a biography, but it’s well-researched and he knows what he’s talking about, so to some extent that’s just an issue of style. It’s got lots of interesting detail that goes a long way towards explaining the work, and I’m very glad I bought it (I haven’t got very far yet, it’s longish: 772 pages). 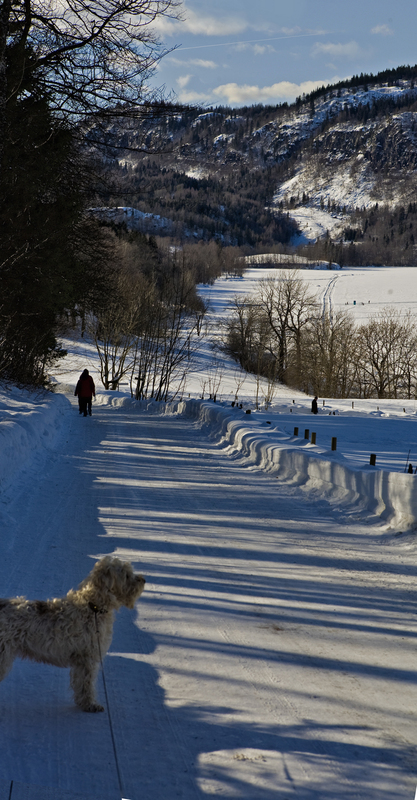 At an altitude of one thousand metres, La Chaux-de-Fonds had a rough climate that taxed all who lived there. In the course of a year, there was an average of only five hours of sunshine a day; 173 days had some form of precipitation, 65 of them with snow. One learned to endure. For all the misery he would suffer as an architect, he had the strength to withstand the most challenging conditions. (That linking of growing up with bad weather to toughness of character is an example of what I mean by speculative). No, no, that’s a wonderful idea, it exculpates me: the only reason why I’m lazy and weak is because I grew up in a mild and benign climate. ¡Fantastic! We have no evidence that you’re lazy and weak, Julia. We could say that it’s lazy of you not to provide evidence, but I don’t think it’s a weakness. In fact we might come to the conclusion that you’re hard working but modest. Too lazy, indeed. Too weak to defend my point. You don’t strike me as lazy or weak at all, Julia. You may think she’s all chasing woolballs or climbing curtains, but that’s her cat in the picture. No. Julia is selflessly conscientious and helpful. How does she find the time? And I retract myself: I’m not lazy blogging. Unfortunately this is not real life. The Sunday before Easter is Palm Sunday. Thank you, a very good point. Palm Sunday = “Domingo de Ramos” in Spanish, remembering Christ’s entrance to Jerusalem where he was acclaimed by the multitude, if my memory doesn’t fail.